The Manager for Manchester United Louis Van Gaal, is unhappy with the media for publishing stories that are untrue. Gaal understands and accepts that criticism is part of managing a team. The reports this week suggest that United have contacted the Former Manager of Chelsea, Jose Mourinho. However the Manager who is preparing for his United game against Chelsea, tried not to bother about the media and the stories. “For me too, but I can cope. In the Netherlands they know I am too arrogant to doubt myself, but I also know that such a nonsense is being created about me. 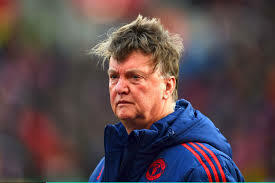 Gaal also quashed claims that he had hired security for his wife to keep her safe. Gaal said it was also untrue that he had hired security for his wife in the face of increasing opinions from fans. “I criticise the media for inventing stories. “When I came in there were eight or 10 players over the age of 30.